Prior Manor Press, 9780999066539, 36pp. Being bad doesn't always have to have bad results. 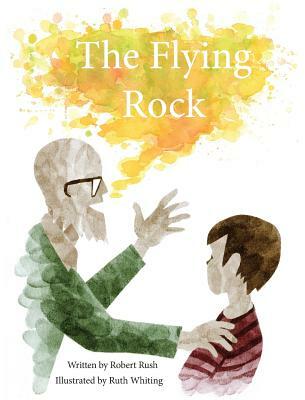 That's the larger message behind the thought-provoking children's book The Flying Rock, the story of a young boy, Billy, and how he learns about taking responsibility for his actions. Recommended as a read-aloud or for precocious early readers. (Ages 4-9) Full color illustrations. When a group of children are mean to Billy, he gets angry, throws a rock, and it hits Timmy on the head. Afraid, Billy runs home and tells his grandfather, who tells him a folk tale about a farmer's son, while they wait to discover if Timmy's bump on the head will be all right. Timmy's father calls to tell them that when the doctors examined Timmy, they discovered a brain tumor that may have paralyzed or even killed him. They operated immediately and Timmy's life was saved. "Sometimes, we might not know if an action's result is good or bad at the time. That is different from an action you know is right or wrong," Billy's grandfather says. He insists on an apology to Timmy, and Billy agrees. The next day, Billy, now a hero, is invited by the other children to play. Accompanying Rush's text are Ruth Whiting's unique illustrations, literally one-of-a-kind because Whiting uses ink fingerprints to create them, building up color to create density and a contemporary feel. For the tale-within-a-tale, she switches mediums, utilizing bright watercolors as well as ink illustration to capture a pastoral setting evoking a more distant time.